Sixteen-year-old Sophie knows there is more to the story of her parents' death. And she's on a mission to find the truth. To aid her in solving the decades-old mystery, Sophie has enlisted her best friend, Mikael, whose friendship has turned into something more. It's soon clear that Sophie's future is very much wrapped up in the details of her family's past, and the key lies with information only one man can provide: her parents' former employer, the elusive billionaire Alfred Nobel. As the threat of war looms in Europe, dangers to Sophie and her loved ones grow. While her determination to solve the mystery doesn't waver, forces beyond her control conspire to keep her from her purpose. Then, news of her great-aunt Tabitha's death sets off a chain of events that leaves Sophie questioning everything. The more Sophie learns, the more she realizes that nothing—and no one—in her life is what it seems. And coming to terms with the dark secrets she uncovers means imagining a truth that she never dreamed possible. 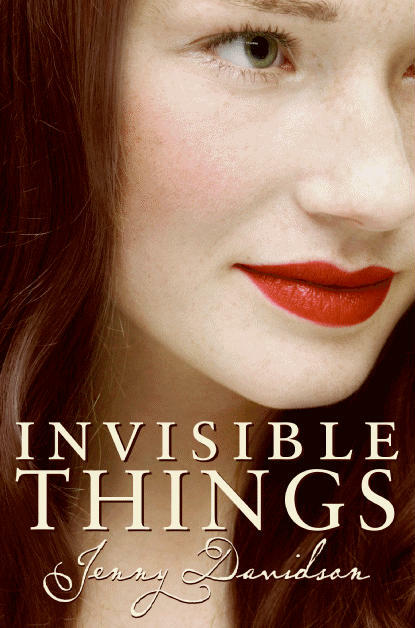 Full of gorgeous settings, thrilling adventure, and romance, invisible things is a novel that dares to ask, what if? I really enjoyed Davidson's previous book, The Explosionist. It was full of mystery and intrigue. Invisible Things started right where the last book ended. A lot that was a mystery in the first book is revealed, along with several other secrets. Sophie was just as clever and thoughtful in the first book. I love Mikael. He was lovely and I found him really interesting. I love the alternative history that Davidson creates. It is so rich and full of people that were actually in our world. I found parts of the plot to drag on and a bit was unrealistic. Even with that I found such a unique and stunning book that catches your attention from the beginning. I highly suggest that you should read this book, it will capture your attention and bring you to a new world.